Boris Kurganov was born in the city of Omsk (Siberia). 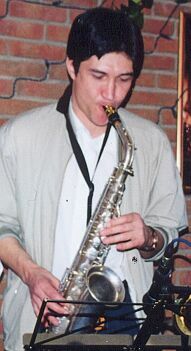 The most important event for him was his participation at Copenhagen Jazz festival (with Nick Levinovsky's Allegro, 1990) and Montreal Jazz festival (with Gregory Fine quartet, 1997). NEW Andrey Kondakov, Sergio Brandao, Cafe, Paolo Braga, Paul Bollenback, Boris Kurganov - "Old And New Brazilian Tales"